I had a couple of these (two or three) of these, can't remember the exact time (15-20y old). That was a great part of life, but I'm glad it's over, cause there was a lot of pushing these bikes around... not to mention being chased by the cops! With a kit and tune pipe they could reach speeds just under 100km/h. 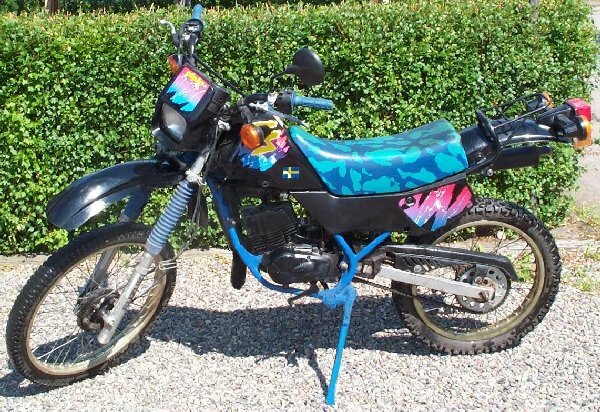 Picture is not of my bike, but one of them looked exactly like this one.